Don’t go looking for 1 – 17. I’m starting with 18 because that’s the day’s date, the date of the day I caught on to this year’s Mindful Writing Challenge. I drove home from Albany today, across southern Vermont, just ahead of the snow that was moving up the Hudson Valley, smack into the snow off the coast. Again and again as I drove Rte. 7 and then Rte. 9, the horizon would be pulled up close with the steep slope of a field, the curve of the hill climbing to sky. 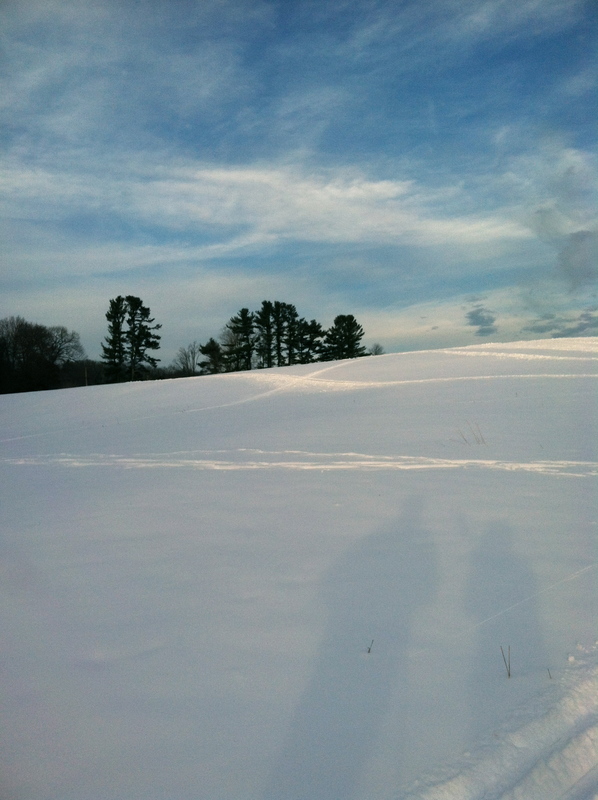 Like skiing up from the bottom of the hay field behind the Johnson’s old farmhouse, a field of snow bleeding off into blue. I love that view. Just beautiful! I love to see that familiar landscape, you captured it so completely.